While this summer has been amazing with the kids, I have to admit that I am a bit worn out. We have had some amazing adventure with a week still to go. I’ve been feeling fatigued as of late and my husband keeps telling me that I need to get myself a little bit of a break. 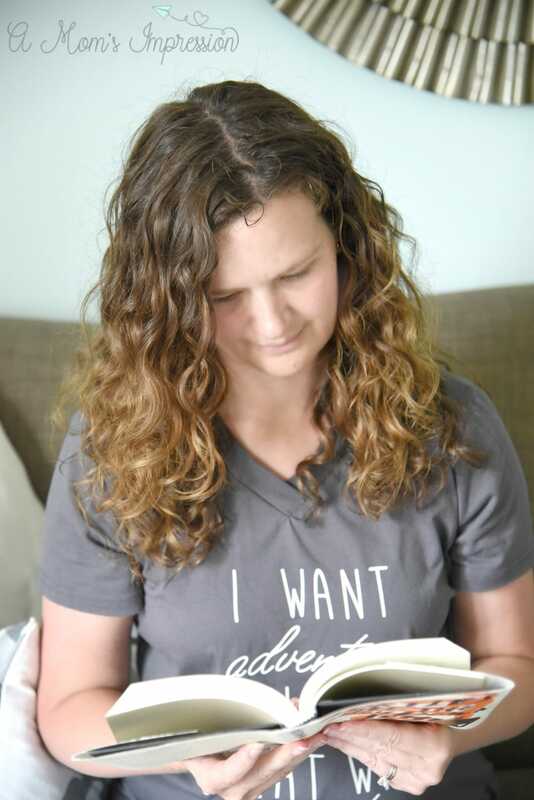 Taking a little me time is hard for busy parents like myself. We are used to running around with a million irons in the fire. However many things that are on my do list, my husband is right, it is important to take a few minutes of every day to just recharge a bit. I came up with 5 easy little tips to help busy parents recharge during the day. Take a long, hot shower or bath. This tip is one of my favorites because it also accomplishes something that needs to be done. I am able to clear my brain of everything I need to do while I am in the shower. There is a moment of clarity. Bonus, the bathroom is the one place my kids will give me a little bit of peace in. Take 15 minutes for a book break. If I am by myself during the day with the kids I have all of us take some time to read. Just having 15 minutes reading something that isn’t work-related helps relax me. Bonus, the kids see me reading and are inspired to do it too! I’ve been doing this almost every day this summer and I am finding my kids reading more than they ever have before. Take advantage of friends and family when they ask to help. My neighbors and I will often “exchange kids” for play dates giving each of us an hour or so to get caught up in the day. I do use the time to clean, work uninterrupted, but also to sit down and relax with a beverage for a few minutes. Connect with friends. Play dates are nice for adults too. I love getting together with my girlfriends to catch up on life while our kids play in the next room. 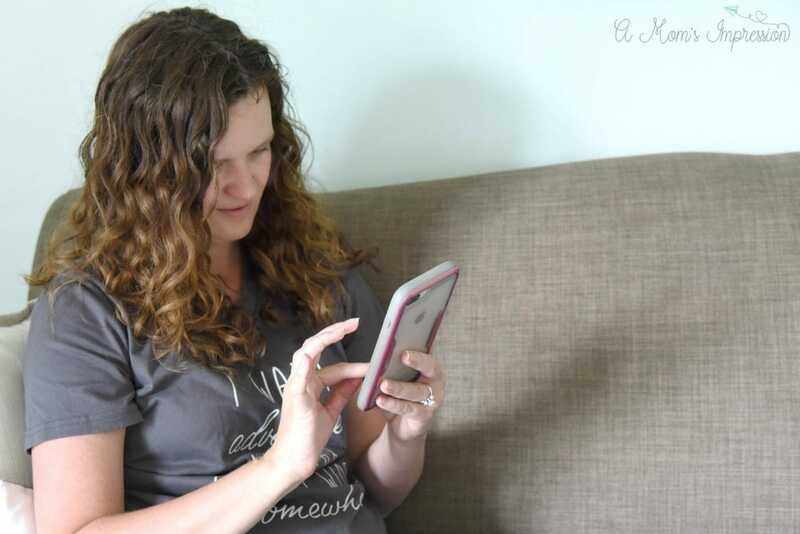 Having time to chat with my girlfriends is a quick way for me to feel refreshed and ready to tackle mommyhood. I also love just having time to chat with my non-local friends via messenger or a phone call. Sit down and enjoy a challenging game. My family is a family of gamers. 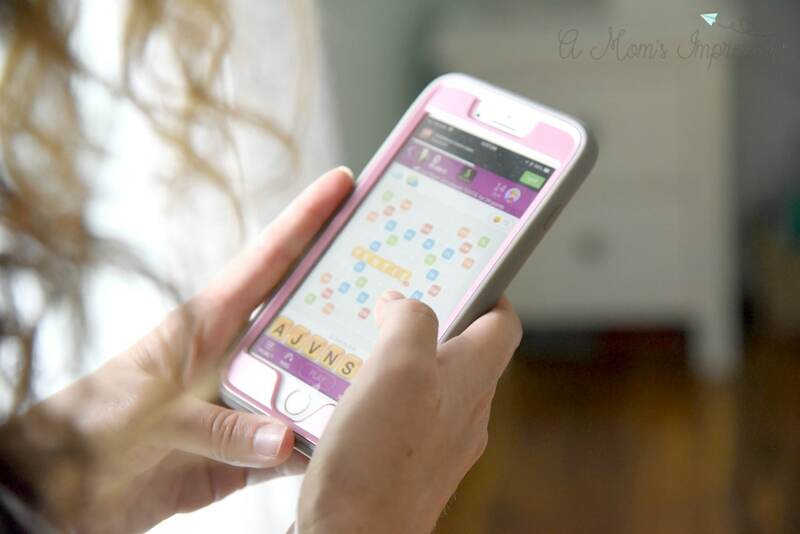 While we love a good family game night, I also like to sit down and challenge myself with a strategy puzzle or game like Words with Friends 2. Words with Friends 2 is the perfect game for me because I love being challenged. It keeps my brain fresh and gives me a little break from the chaos of running a business and a household. 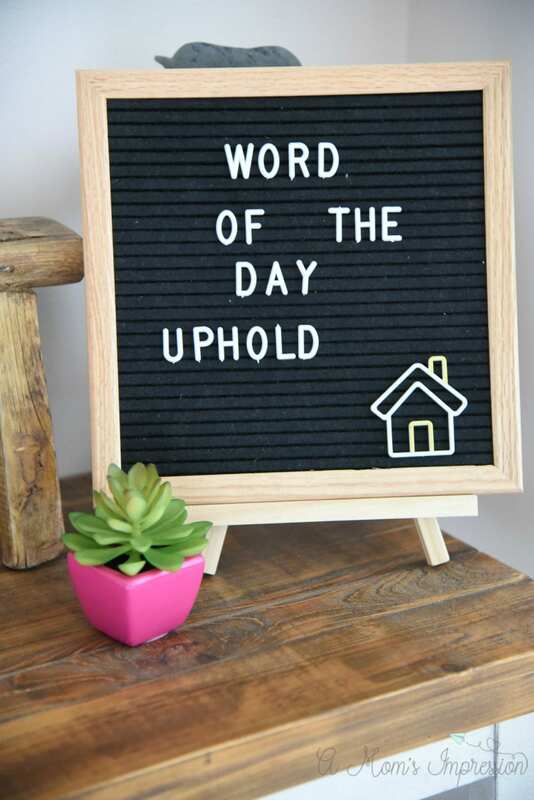 My family loves learning new words and this is a fun way to incorporate some of those words into our life. Since playing WWF2 I have learned a ton of new words, some of which we talk about at the dinner table. Best of all, it takes just minutes of your time and you can play at your own pace so why not take a minute while you are waiting at the bus stop to challenge someone. 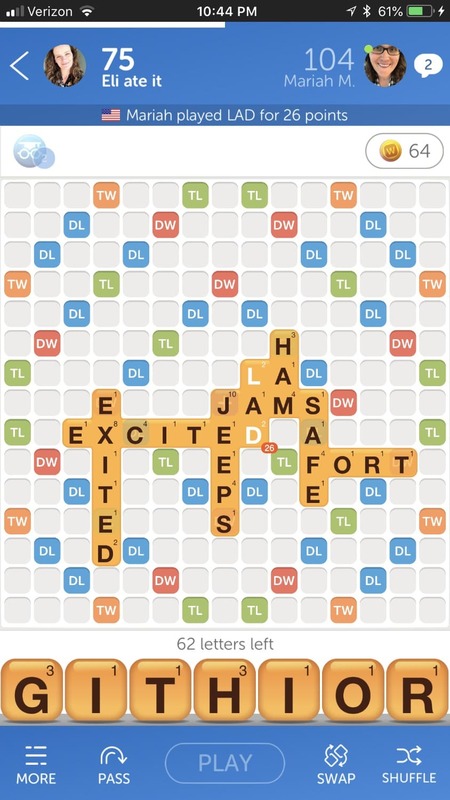 Words with Friends 2 also allows me to connect with my friends and family during the day as we battle it out. 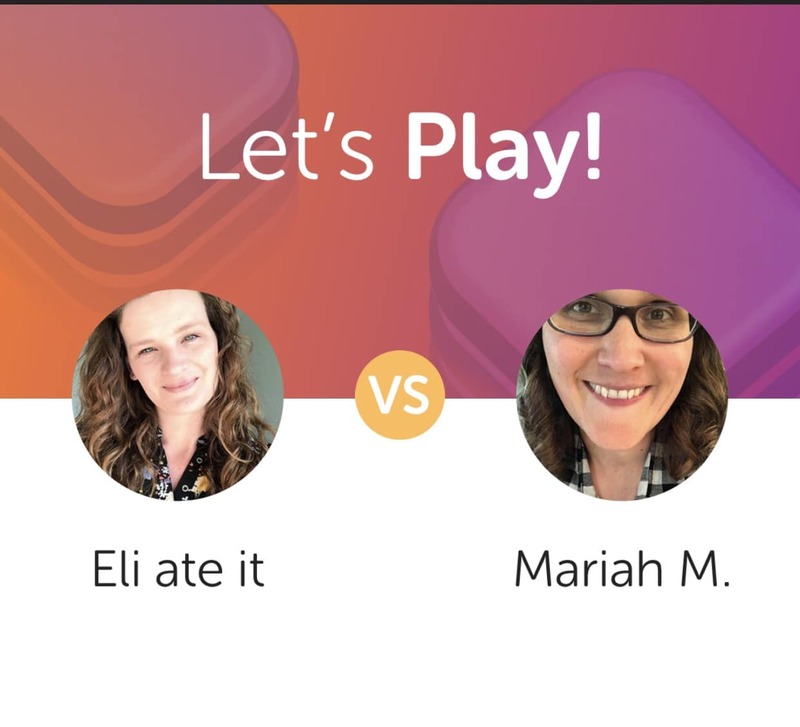 My good friend Mariah lives in Texas and we only get to see each other a few times a year, playing WWF2 with her during the day makes the distance feel a little bit closer. She beats me all the time, but it is still a lot of fun to trash talk since we are both competitive. It is so nice to have games and apps like WWF2 to keep us connected in a fun way. Do you love keeping your brain fresh while enjoying time with friends and family? 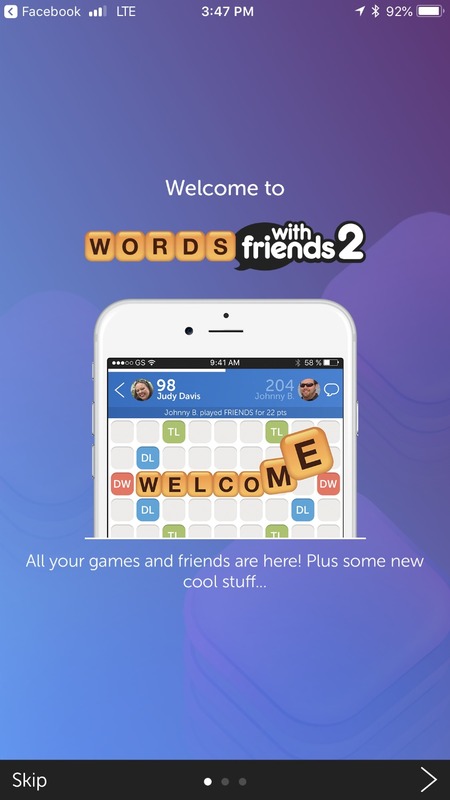 Be sure to download Words with Friends 2 on the Apple Store or Google Play. I would love to challenge any of you, look me up, I’m Eli Ate It.